A greater power that lives within drives me, compelled to plot and give chase without question. History has proven that on any given swell that shows a likelihood of epic surf of a significant nature, I have made a point of accessing. I've been known to beg, borrow and borrow some more, just to be where the action is, where the swell finally collides with a reef or land form. 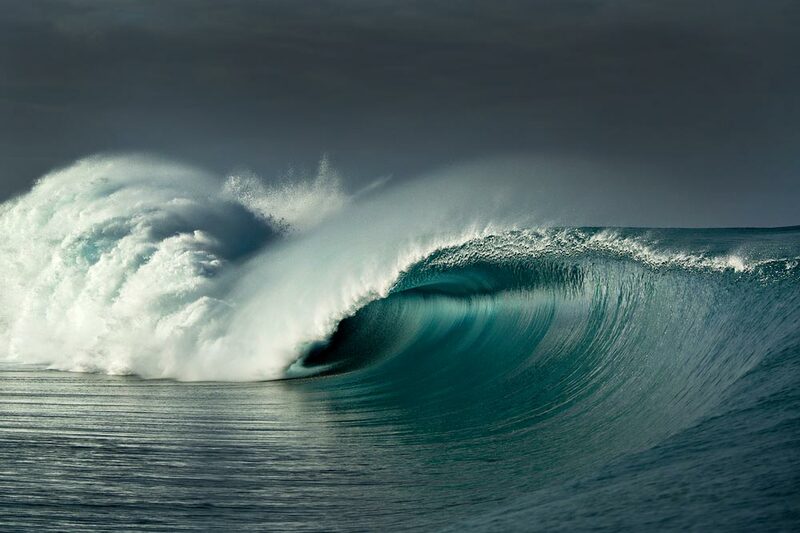 One such swell hit late 2014 and was marching towards familiar territory in Teahupoo. Conditions looked epic, low winds, sunny and somewhere between 10-15 foot, nothing was going to keep me away from this one. Soon there after the internet was awash with cautions about the famous break being closed for the filming of a remake – the 1991 Hollywood classic “Point Break”. Fortunately for me, the second unit director that was to document the amazing surfing stunts was being capably led by director Philip Boston, a good friend and colleague whom I'd worked with on the 2003 epic surfing feature film Billabong Odyssey – the search for the worlds biggest wave. A couple of phone calls and emails later Phil had invited me to shoot the behind the scenes stills on a freelance basis. Along with principle photographer and good friend Tim McKenna and his wife Stephanie, who where also in control of the whole logistical production side. For this highly complex shoot, Phil had enlisted the who’s who of surfing cinema photography, but we were all deeply shocked and saddened by the sudden passing of one of the crews most colourful and talented characters Sonny Miller. Sonny was literally Captain Fun and skillfully managed to combine that with one of the best and most professional work ethics of anyone I've ever worked with. I had the good fortune to work and travel with Sonny on nearly every Rip Curl 'Search' campaign. We shared good times and the very best of times in some of the most bizarre locations on the planet. So I am sure the film will in part be a big tribute to the incredible Mr Sonny Miller. Phil had described the technique that they were about to attempt, of which I'm sure the regular movie goer has no idea of how dangerous, difficult and complex it is to achieve just a few minutes of footage out of the total movie. The fact that the stunts were real, preformed by a hand picked crew of top surfers including Bruce Irons, Laurie Towner and Dylan Longbottom as well guest star and young local Matahi Drollet. The swell arrived and did not disappoint, conditions were flawless and the scene was set, local surfers continued to vi for waves as it was business as usual at the worlds most notorious left-hander. The reality of the danger was soon apparent when imported hell-man, stunt surfer Laurie Towner got driven straight into the reef on one of the first waves of the day. This was serious business. Laurie was recovered by the water patrol and evacuated straight to hospital. To me, the behind the scenes making of a movie is actually more fascinating than the movie itself. Point Break is one of those movies that seems to be defined by the stunts – these guys dug deep and went the extra mile under incredible pressure to come up with something ground breaking. As opposed to your average surf documentary, where the focus is usually placed on the location, Hollywood knows no boundaries. 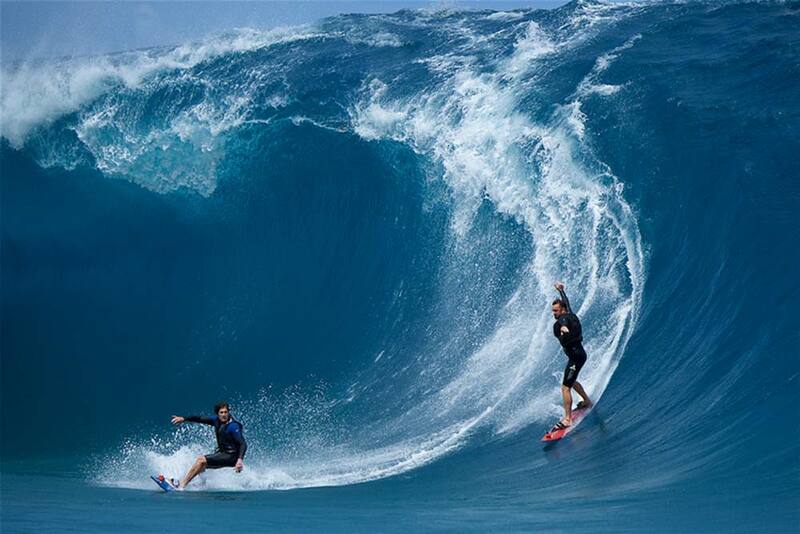 Hollywood is a fantasy land – so the location of Teahupoo can be combined with Malibu or Mars if they want it to be. Stunt surfers were clearly discernible by the black locator marks on their face that would assist accurate retouching when the actual actors faces would be placed over the stunt surfers in post production. This is only one of a host of over-laid shots that would be composited to created a final image. Shots from all over the globe are involved in the final result. A technical jigsaw puzzle that the director has to have complete control of the whole time and works closely with team of experts in very specific areas. That day the swell continued to rise with perfect conditions remaining. I need to point out that while some people may consider that the crew got lucky to score such perfect surf, it was actually only luck in the sense where Luck is described as the meeting point of preparation and opportunity. Making the call to get such epic surf, involved the best forecasters, months of stand by for surfers and crew all at massive expense – ready to roll soon as nature was ready. So to some extent you can stack the luck in your favour if you want to spend the time and the money. Challenging manoeuvres of two surfers emerging from giant Teahupoo barrels may have been preformed before, but never deliberately. The other occasions are more of the drop in nature. Bruce and Dylan preformed one such feat to the delight of the 2nd unit director Phil Boston. But if there was to be a new star born it may have been in young local surfer Matahi Drollet, who caught three of the best waves of the day towed by Teahupoo’s most revered surfer and older brother Manoa Drollet. Still sixteen years of aged Matahi picked not only the the most perfect line, it literally was a thin line that would ensure his survival, a star was born! The end result was entertainment, action packed extreme in every way. I was privileged to have my photography featured on the movie poster – a combination of one of the most perfect waves with two of the most dramatic surfers on one wave. Whilst it was great experiencing the magic of Hollywood, to me it's more about appreciating the immense talents that need to be combined with the massive amounts of (behind the scenes) hard work by an army of wizards in every field – all in the name of entertainment.